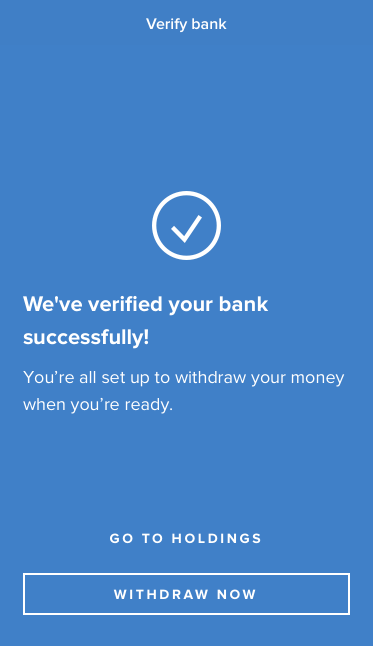 If it’s your first time withdrawing money from MogoCrypto or if you’ve recently changed your banking information on file, we do something called a “Penny Drop” to verify that the bank account is yours and that you can access it for sure before we move your money over. This is also a part of our anti-money laundering efforts. 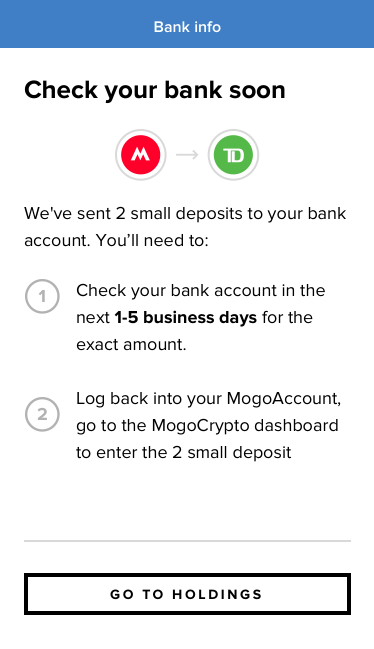 Start by clicking “Withdraw” in your MogoCrypto dashboard to begin the verification process and then clicking “Let’s Begin”. 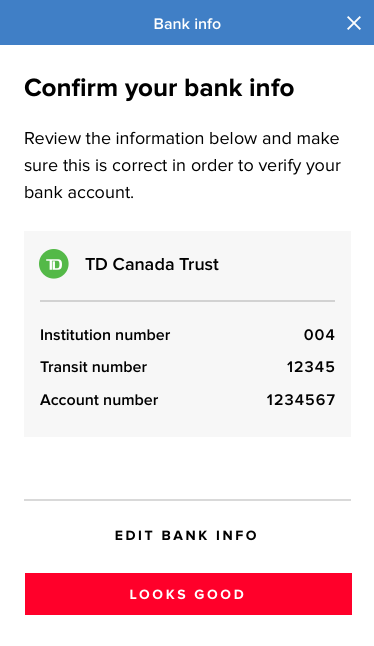 You’ll need to enter the details of the bank account you’d like to withdraw your funds into, including the account number and branch ID (AKA a “transit number”). 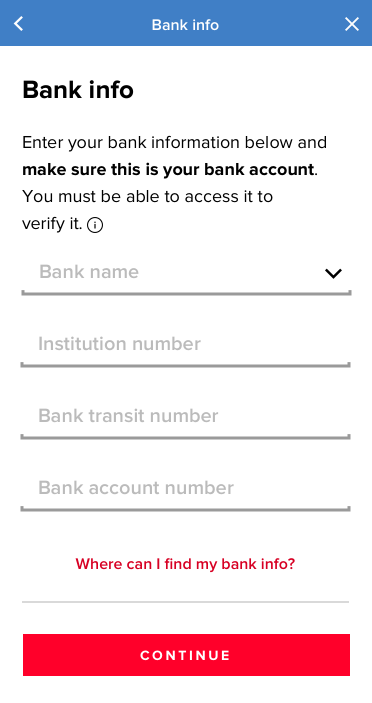 We’ll auto-populate your institution number based on the bank you choose, then click “Continue”. Confirm the details you’ve entered are correct and click either “Looks Good” to proceed, or “Edit Bank Info” to change. We’ll then deposit a few pennies into your bank account (i.e. “Penny Drop”) using the information you provided. There will be two deposits. These deposits will take about 2-3 business days to get to you. 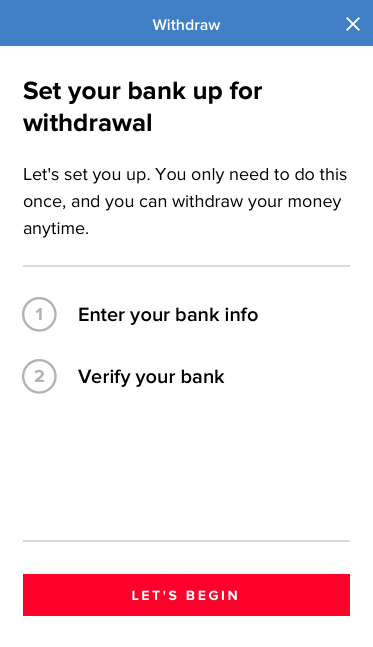 Once the deposits reach your bank account, take note of the amounts and log back into your MogoAccount where you’ll see a prompt to validate your bank information. 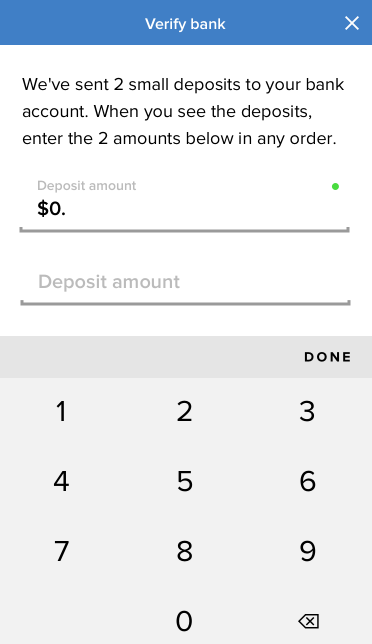 Follow the prompt to get to the Verify page, and then enter the deposit amounts (any order is fine). Done! If the amounts entered are correct, your bank information will be validated and you will be able to withdraw funds from MogoCrypto to your bank account. Withdrawals usually take about 1-3 business days to reach your bank account.